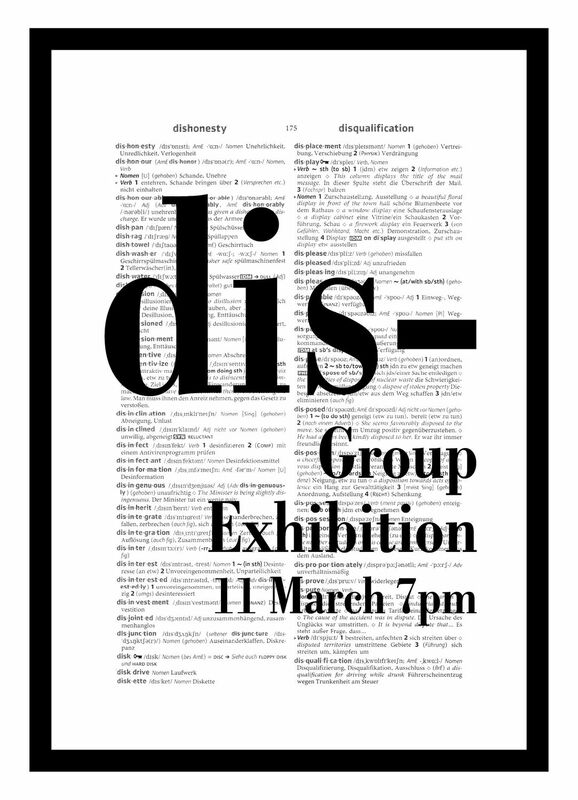 dis - is a group exhibition curated by Ayala Gazit and Katarina Murto. 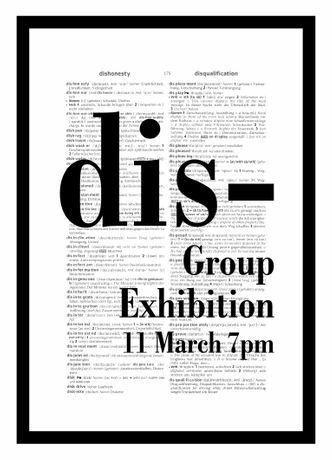 Each artist titles their work with a word starting with the same three letters, "dis-". The exhibition will feature work by Oded LevRan, Zack Helwa, Stephanie Ballantine, David Neman, Ilyn Wong, Adi Yaakov, Katarina Murto, and Ayala Gazit.